Role: Project Manager Location: Denbighshire / Deeside Rate: £35-40 per hour Start Date: ASAP Overview: Leading a global PMO that is geared towards the R&D and global solutions sector of a company that is a manufacturer of electronics components and software platform solutions. Leading a global PMO that is geared towards the R&D and global solutions sector of a company that is a manufacturer of electronics components and software platform solutions. The aim of this group is to explore the possibility of electronics / telecoms components that have been successful on a regional basis to be adapted to work on a global scale. The role would suit a candidate that has worked within a project management or project delivery role that has either moved, or is looking to move into a PMO management function. A background in either electronics, software or telecoms would be advantageous but the key is the in depth people & project management experience within a project / PMO environment, ideally involving the management of reports on a remote / global basis. *Implements project management excellence into R&D bias technical business streams. *Coaches and develops on project management and provides guidelines and best practice in project management. 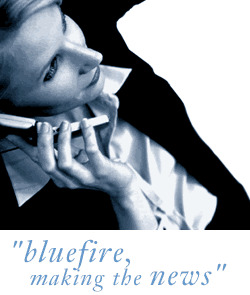 Bluefire Consulting is an equal opportunities Employment Business/Agency specialising in IT recruitment on a UK wide basis.